Easter. The one holiday my anxiety decided to take a vacation on. I didn’t feel the sadness of not taking Jensen to get his picture with the Easter Bunny and I only once wanted to buy this perfect navy basket for him. Honestly, this has been the only holiday that hasn’t bothered me during my whole grief journey. When I woke up this morning, all the usual build up hit all at once when I opened my eyes. All the pain and anxiety paralyzed me and the should be’s flooded my mind. I should have been the Easter Bunny and hid his basket. 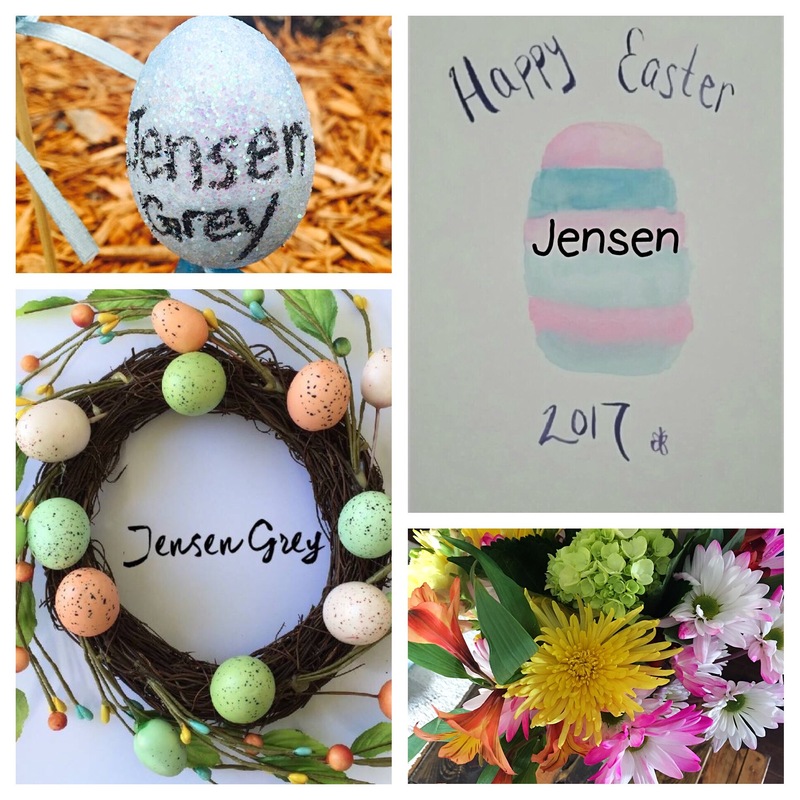 Jensen should be waking me up and be in his Easter outfit. He should be quizzically looking at me while he dug into his basket. We should be going over to his grandparents house, getting ready for the Easter egg hunt. All the littles should be taking their picture together. I should be taking a picture with my son on his first Easter. My life should be so different. All of the moments today I wish I could have that I never will. It hurts. I never had a certain outfit picked out for him for his first Easter, but I can imagine he’d be in blue and a hat. He would be stumbling while trying to pick up the eggs that will be scattered in the yard. They’ll still be scattered, but one little egg hunter won’t be physically present. I’ll tell you, it’s normal for me to picture where Jensen would be every day. But on the days where everyone’s there and I can so easily put him where he needs to be… it takes my breath away. The other part of today that I wasn’t prepared for was how this is the last first. I thought when his first birthday passed, so did all the other firsts. He was still here during Easter last year. Safe inside my belly. I didn’t take in account that Easter moved around, that I would have to face his first Easter after his birthday. It hit that it was the last first that I’ll encounter with Jensen. That feeling I wasn’t prepared for and I don’t know if I would have ever been able to prepare myself. There’s also a feeling of Easter last year being the last, last. Of course there’s the last movements and the last time seeing him, but this was the last holiday with him. I can remember that Easter so vividly. We were talking about what would happen if our children would pass. At that point, I never imagined he could die before he was even born. I’ll never forget what I said. Those words ring in my ears during my lowest lows. I’ll keep doing my best for him. This last first will be lived to the fullest for the boy who can’t get the Easter eggs laid out for him. The boy who will never get a picture with the Easter Bunny. The one who will forever hold my heart. Gosh, I miss him. So much it hurts every part of my body and soul. I’ll never stop missing him or remembering the time I spent with him. It was the happiest thirty-eight weeks of my life. I’d never, ever give them back, but I’ll always wish something could have changed so I could have him here with me. Thank you so much to everyone who has helped honor Jensen with me today. It means the absolute world. This entry was posted in grieving, Jensen, stillbirth and tagged baby loss, child loss, Easter, grief, grief attack, grief journey, grief work, grieving, infant loss, infant loss awareness, Jensen, Jensen Grey, life after loss, loss, loss community, love, mama grief, Pregnancy and Infant Loss, Pregnancy and Infant Loss Awareness, Still Mothers, stillbirth, stillbirth awareness, stillborn, Stillborn Still Loved by danielleridgway. Bookmark the permalink. Oh, the grief of Easter was so rough. As we both experienced, the unexpected wave of grief hit HARD. I wish we didn’t have to experience this. I hope this week is being gentle on you! I love that you were using his camera to capture Easter through his eyes. That’s absolutely beautiful. He would love that you documented the day with your nieces. But we wills always remember, honor, and love our children with ever step we take. I hope you’re having a gentle week.